We discovered this classic North American strain while traveling through the wilds of Canada and were instantly hooked. Deep purple, very strong and with a smell and taste that is very tough to beat; Purple Pineberry has plenty for everyone. Strains that are fresh and tasty! Brand new additions to our catalogue. Purchasing this item will earn you 190 reward points. Purple Pineberry is specifically refined to thrive outdoors and to be suitable in nearly all climate types, especially where damp can be an issue for other less hardy strains. 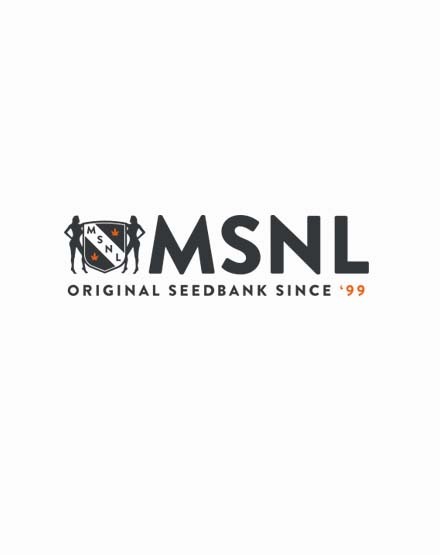 Traditionally a clone only strain, it has been given the full MSNL treatment and is now available as high quality marijuana seeds. Bred to reliably deliver the most intense Pine scent then crossed with an award winning blueberry to add a sweet and fruity combination, it smells great throughout its growing cycles and tastes even better however it is used. As an Indica dominant strain it will grow in the classic “Christmas tree” shape with short internodal distance, thick stems and heavy dense buds. The Indica prevalence means that it produces a strong and deep body stone which can be an excellent stress reliever to help unwind at the end of the day. THC levels are very good regularly testing around the 19.5% mark; Purple Pineberry also has a higher level of CBD at 1.3%. In most conditions this plant will produce deep green foliage and a purple tinge to the buds. Grown in latitudes above 45% north, where it is exposed to cooler night time temperatures it will grow true to its name, with a dazzling display of indigo and violet through the buds and shade leaves. Mould resistant and with a good resilience to other pests, this is a great choice for beginners and more expert growers alike. She will take pretty much whatever mother nature throws at her and keep on coming, either indoors or out. As the name suggests Purple Pineberry has two distinctive influences on its flavour profile. The first and most noticeable is the strong Pine scent, that is rich and powerful. It has the smell of fresh resin that oozes from pine trees that carries through your grow room and the surrounding area. This intensifies into the flowering period so if growing indoors, smell management is an important consideration. When you smoke this strain the second flavour begins to become much more apparent, wild blueberries come through the slightly acidic pine aromas to give a more balanced and sweeter taste. The effects are strong without being overpowering. It builds steadily over time leading to a deeply relaxing body stone that calms and soothes. Slightly elevated levels of CBD mean that is can have some therapeutic value. This one's a winner for outdoor growers. The rain didn't seem to bother them and found very little bud rot. I always lose some harvest to rot where I live and this variety held up much better than most. Trains well and builds up huge thick colas. And gets me high as a kite. I really like the strong pine smell with a hint of fruit does awesome outdoors but just as good indoors using the SOG method!!! "The best strain for outside!" The indica in it makes for a low-growing bushy plant and the scent it gives off isn't of pure weed, also ideal for outdoor growth when neighbors and such can cause probs. The indica also makes for a nice relaxing stone! I go for strains that have higher CBDs usually because they calm my nerves right down. That, and the fact that I'm a Canuck drew me to this herb and it does what it's supposed to - keeps me calm. Plus it's got great flavor!